If watersports aren’t up your alley, you can get to know your neighbors at our bingo games, potlucks, dances, card nights and other social events. 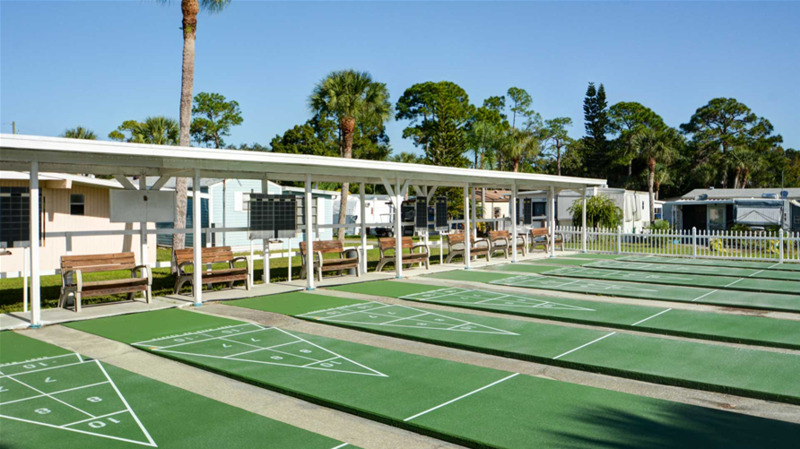 Our grounds also feature activities including shuffleboard, horseshoes and billiards. Located on the juncture of Peace River, Shell Creek and Charlotte Harbor, Palms and Pines offers an extraordinary opportunity to enjoy the panoramic view and natural resources available to our guests. Shopping, restaurants, and medical facilities are within a few miles. Relax beneath the palms, enjoy the sunshine and participate in the many activities. 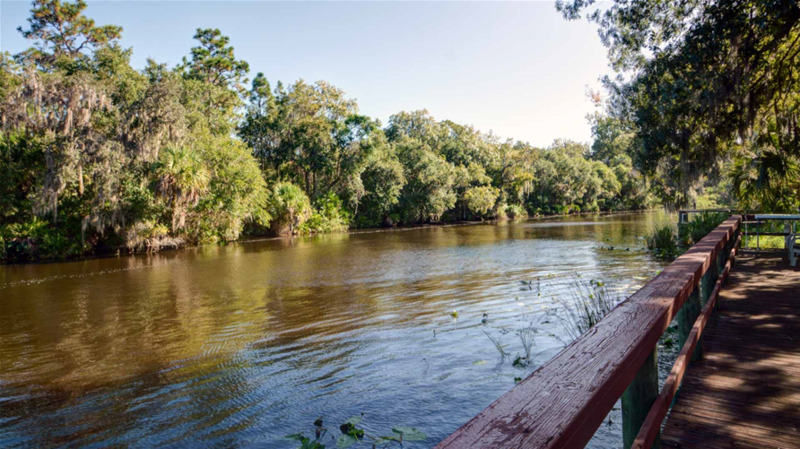 A new gated community nestled alongside Alligator Creek with direct access to fishing and kayaking. Less than 6 miles to extraordinary shopping and restaurants in downtown Punta Gorda. All sites are 40'x80', fully sodded and landscaped with paver patios, Wi-Fi, 30-50 amp service, city water and sewer. Quiet, friendly and rural. Spacious sites with concrete pads, full hookup, 30/50 amp service and phone connection. RVs up to 40’. 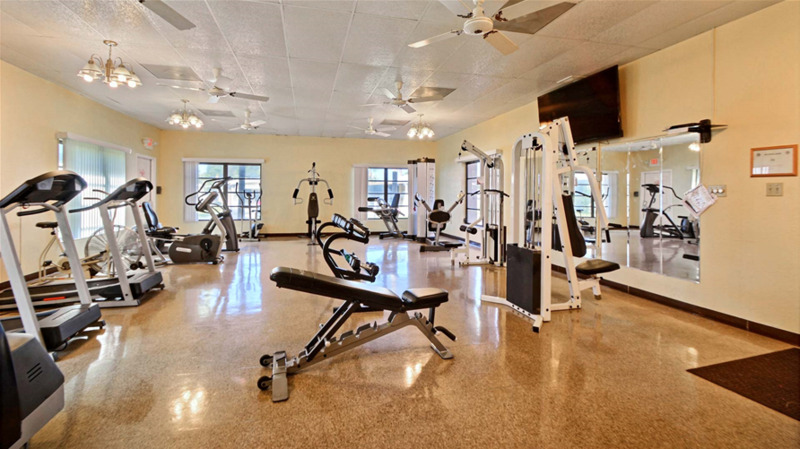 Facilities include a heated pool, shuffleboard, clubhouse, Wi-Fi, planned activities, laundry and bathrooms. Close to Lettuce Lake and the Peace River providing opportunities for endless water activities. 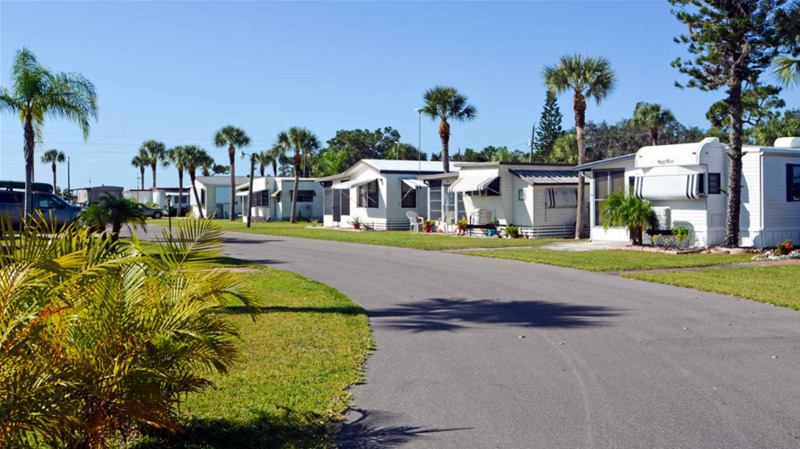 Adult park with 247 campsites, paved roads, 30/50 amp service and each site has a concrete slab. 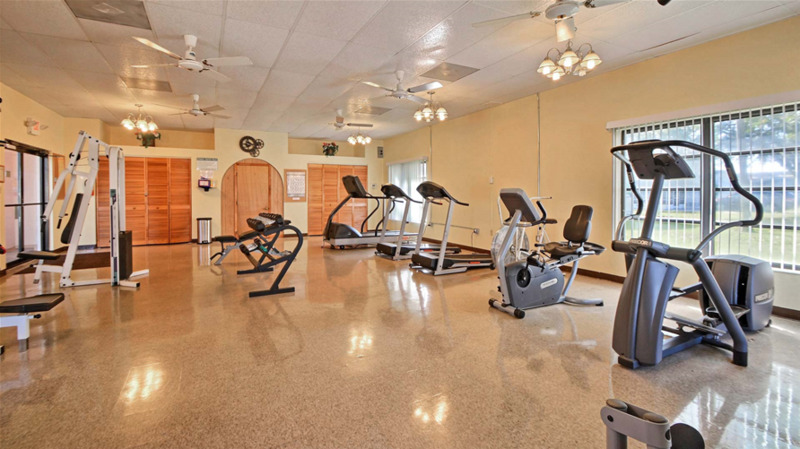 Offering bocce ball, bingo, large heated pool, shuffleboard, pickleball, Wi-Fi and horseshoes. 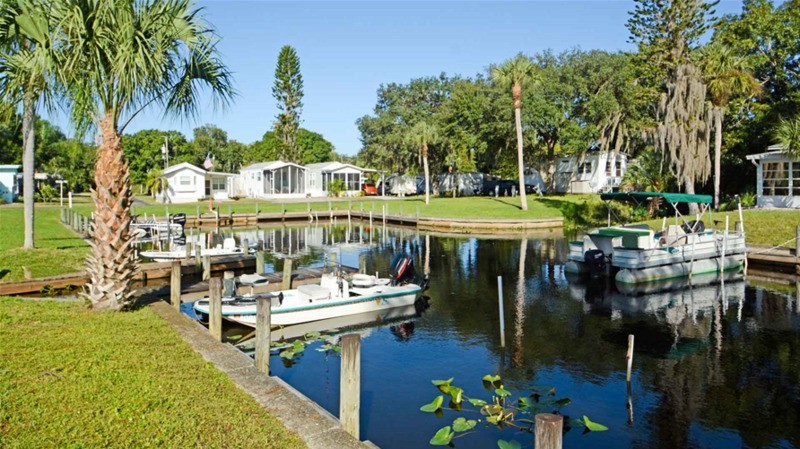 Access to county boat dock, laundry facilities and clean restrooms. Experience the best in RV living in S.W. Florida at this adult resort and golf course. Designed for relaxation and fun with a par 3, 9-hole, walking, executive golf course. 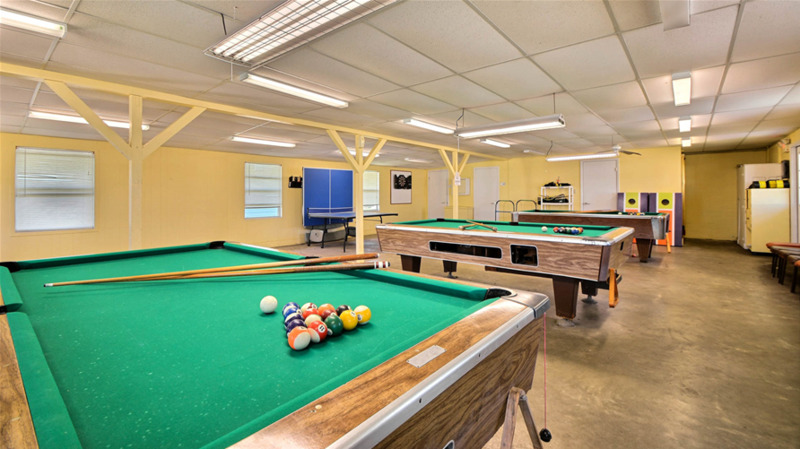 We offer large sites (45’x60’), Wi-Fi, heated pool, hot tub, rec hall, clubhouse, outdoor pavilion, game room and many activities. We are a pet friendly park. Live Oak Church. Family-owned and operated. We accommodate all RV sizes. All sites have concrete patios and many have adjacent 60’ concrete pads. Activities are offered in season and include dances, potluck dinners, cards, trips and more. 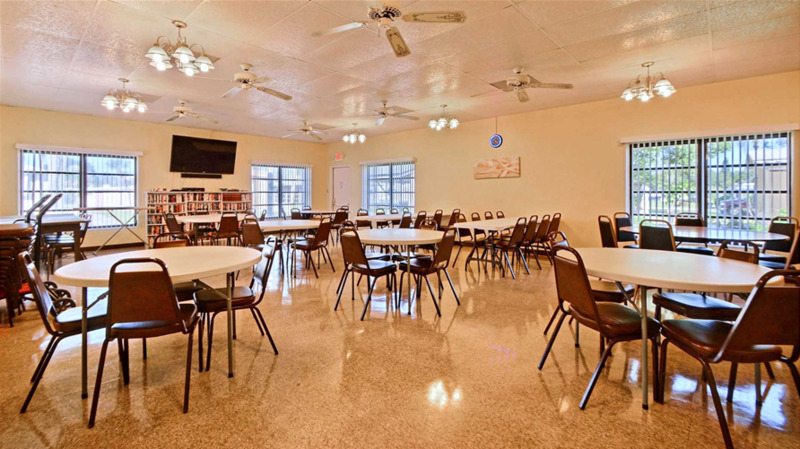 Enjoy our clubhouse with kitchen, heated pool, 25-acre lake, fishing (non-motorized boats), laundry, library with internet, propane ($) and storage. A 5-star resort with a great staff and located on the beautiful Peace River. Quiet country setting yet only minutes to Port Charlotte. 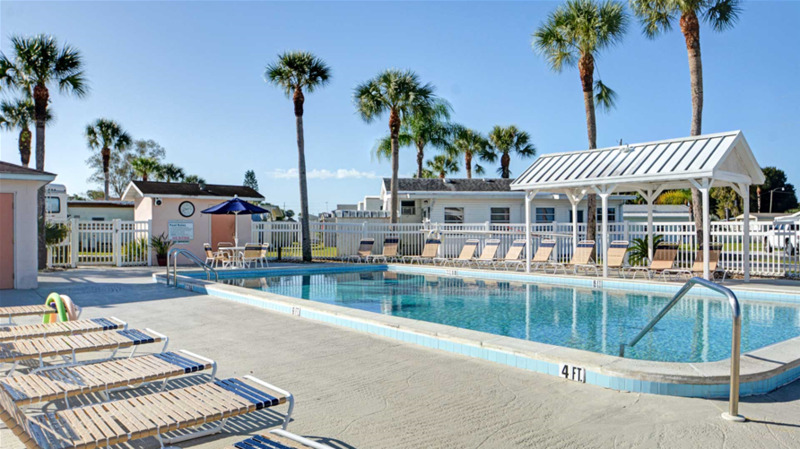 Guests enjoy our sparkling facilities, 2 pools, spa, comfort stations, activity center, planned activities, pavilion, boat ramp and fishing docks. Spacious sites with concrete patios, full hookups and pull-thru sites. Enjoy a nature lover’s paradise! 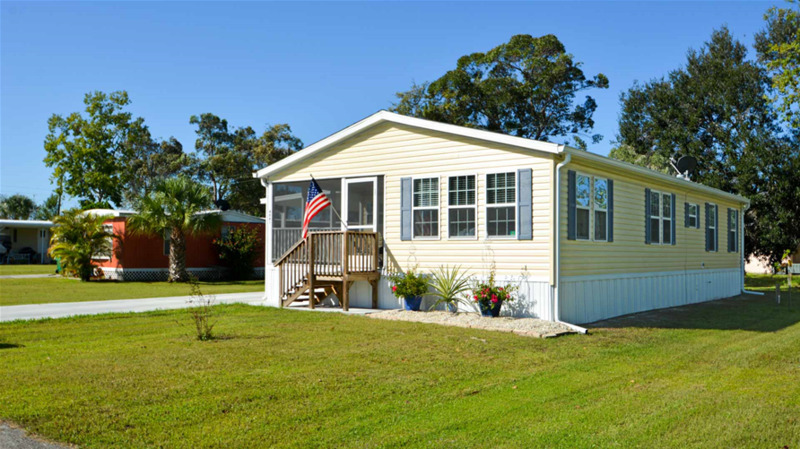 Situated on Alligator Creek, Gulf View offers immediate access to a wide choice of water activities! Enjoy boating and fishing, our heated swimming pool, whirlpool/spa, barbecue and picnic area, shuffleboard, horseshoes, exciting on-site activities, social events, clubs and so much more! Resort cottage rentals are also available. 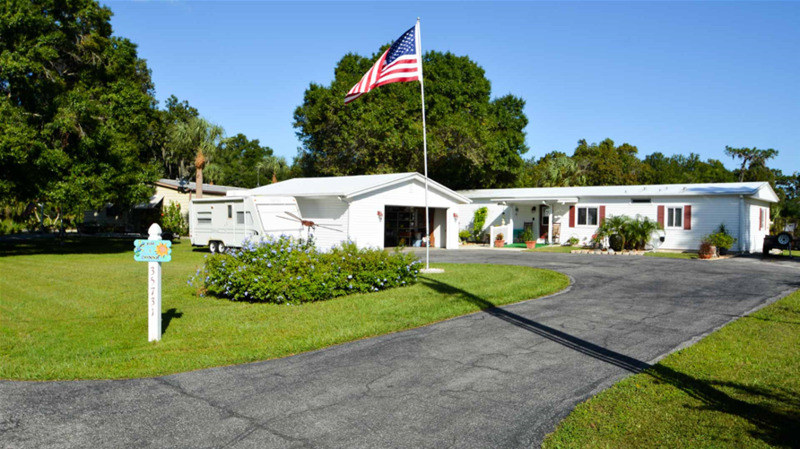 Enjoy a beautiful country setting, centrally located between Ft. Myers and Punta Gorda. Friendly people equal lots of fun. Join in our planned activities available December through April. Come share the fun. Open year-round. 55+ park, owner-operated. Enjoy wooded sites with pads, planned activities, bingo, dances, parades, heated pool, aerobics, exercise, euchre, shuffleboard, golf, bike, bus and snorkel trips, 2 dog parks (2 dog limit with breed restrictions), dog shower, open air stage, Wi-Fi, laundry, non-denominational church, rental units and clubhouse. 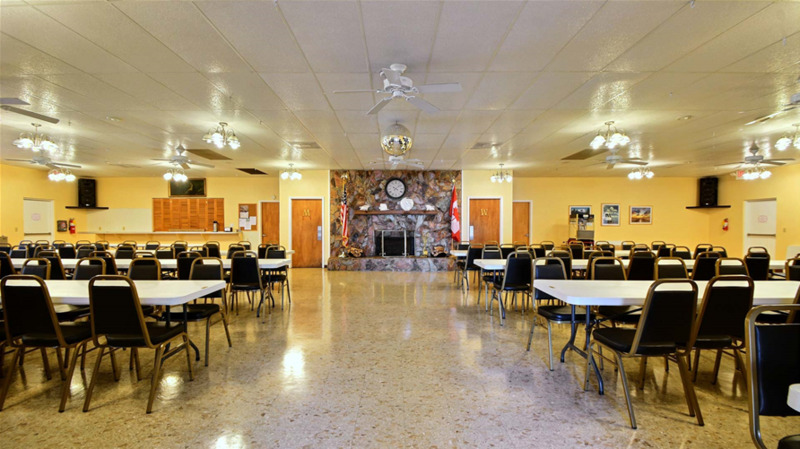 This family-owned/operated gated park features a bathhouse with private showers, exercise room, laundry, bingo, dance classes, quilting, craft room, free Wi-Fi, library, covered shuffleboard, horseshoes, billiards, heated pool, spa, dinners, air-conditioned clubhouse, live music, shows and parties. Non-denominational church services. The City of Arcadia is the county seat for DeSoto County. It is centrally located between Orlando, Ft. Myers; Sarasota and Lake Okeechobee at the crossroads of US 17 and State Route 70.